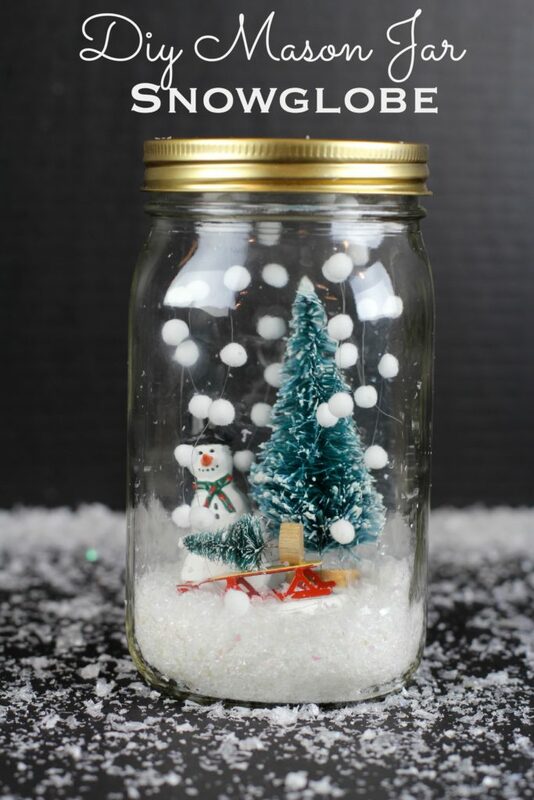 Making your own mason jar snow globe is a fun and easy activity that children will love! Earlier this week we were exploring our local Christmas shop and the snow globes were a favorite item so I know these mason jar snow globes will be as popular. Making them in a mason keeps the cost down and adds a funky modern twist to an old classic. There is two popular ways to making a mason jar snow globe, one with water and the other without. Both methods produce stunning results. 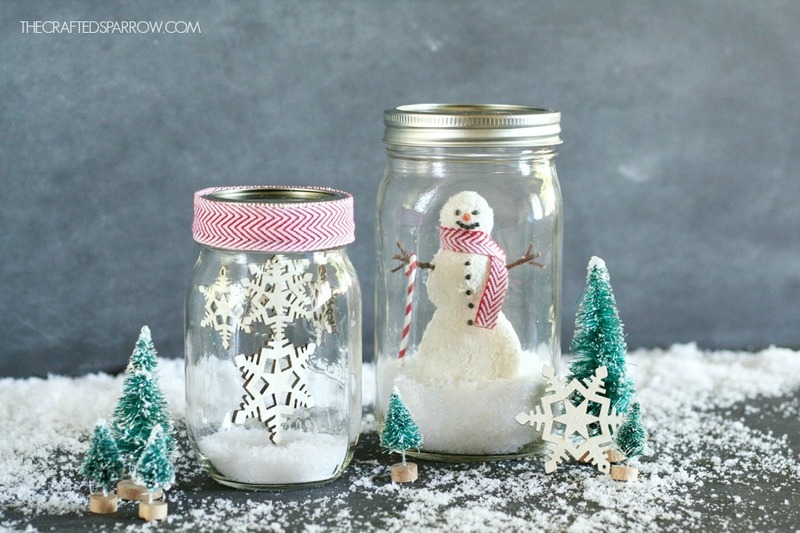 Which of these 5 mason jar snow globes will you make this year? This beautiful Christmas tree snow globe has been tested with both water and no water. The tree has been stuck to the mason jar lid which makes it easy to assemble. Read more about this mason jar snow globe here. The pom pom snow in this snow globe turns this no water snow globe into something really special. Get all of the instructions here. 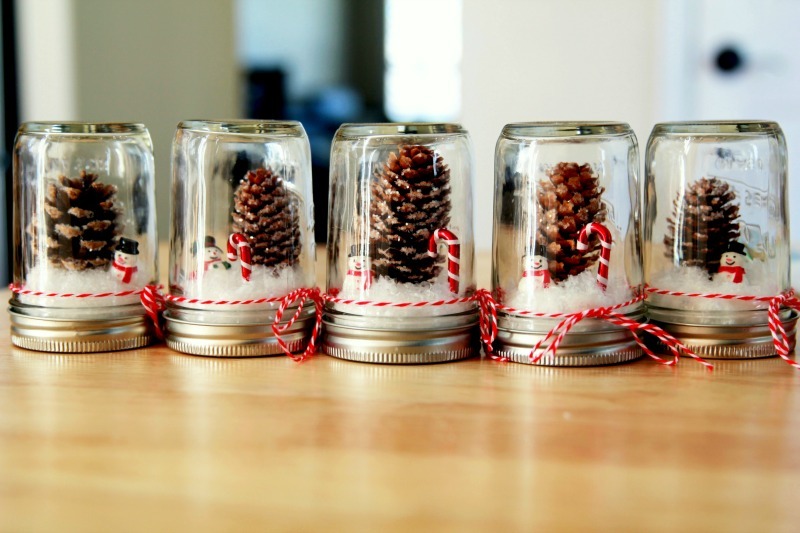 These adorable pine cone no water snow globes would make the perfect Christmas gift for children to make. Find all of the directions by clicking here. This adorable cake topper snow globe can be made with or without water. 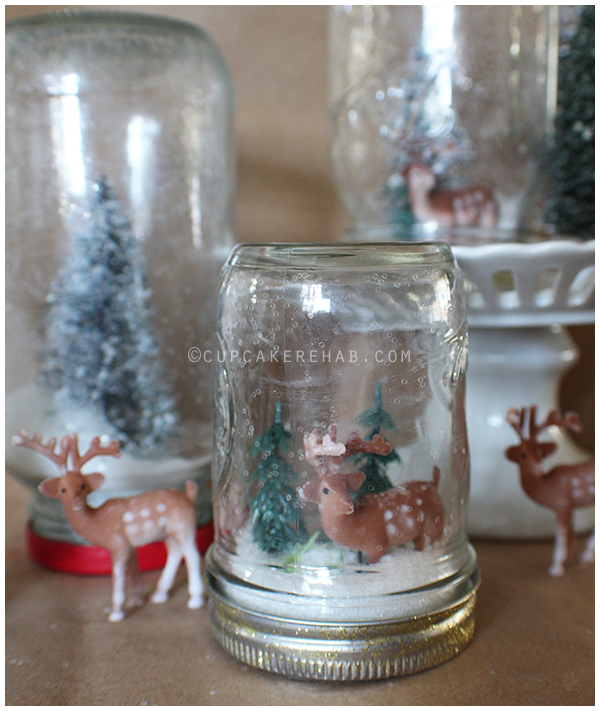 Such a fantastic idea using cake toppers as some of your snow globe decorations! They also suggest using Glycerin in the water to help the snow fall and not just sink. Click here to find out more. 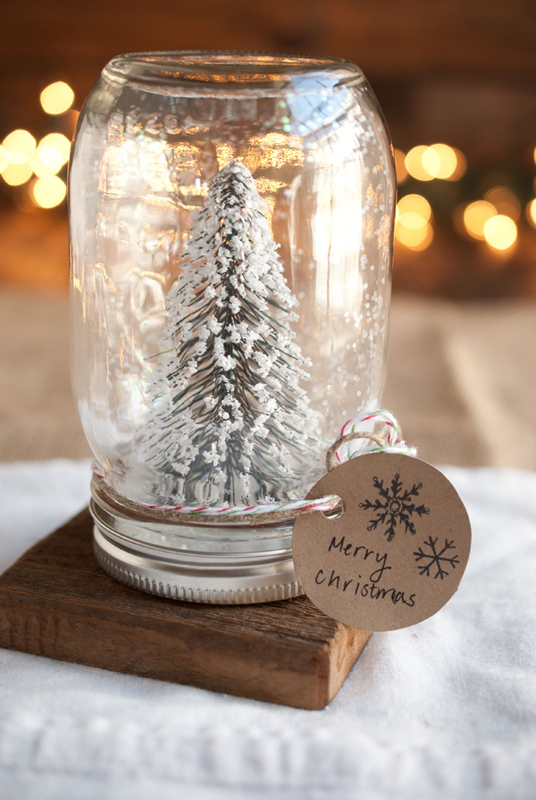 Over at Crafted Sparrow, there is a great tutorial for this cute snow globe. The snowman is made from styrofoam balls which adds to the crafting fun!